Diameter Bore (mm) Segment Length Segment No. 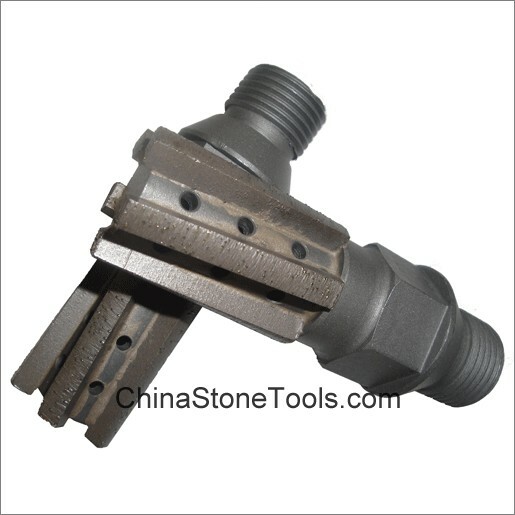 Diamond Finger Bits are ideal for fast stock removal as well as truing up saw lines, which is designed to cut Granite, Engineered Stone and Marble. 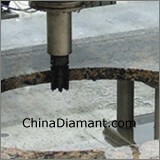 Usually mounted on CNC or Radial Arm machines, for hole grinding, anchor and blind hole. Center waterfeed holes in each bit.